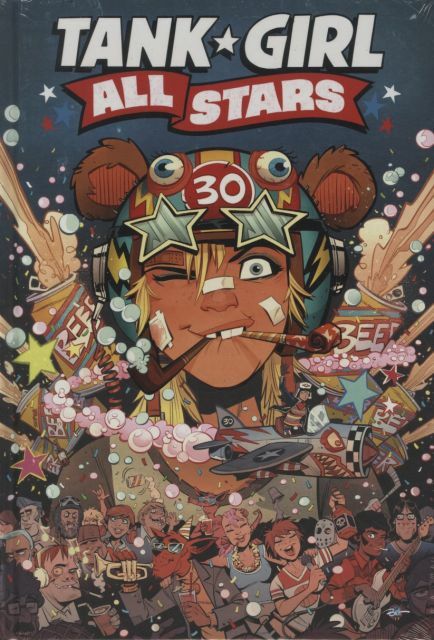 Celebrate the 30th anniversary of Tank Girl with this birthday anthology of stories from co-creator Alan Martin! Tank Girl takes on a troupe of Girl Scouts, Sub Girl drops her bra in the punch, and Booga scares everyone away by eating his own hand! Plus, starring the biggest secret in comic history - the origin story to end all origin stories - how Tank Girl got her tank! This, and a whole bunch of other tales, will be written by series co-creator Alan Martin, with artwork by a host of Tank Girl stalwarts, newbies and super-star guests, including current artists Brett Parson, and friends throughout Tank Girl's checkered 30-year lifetime.